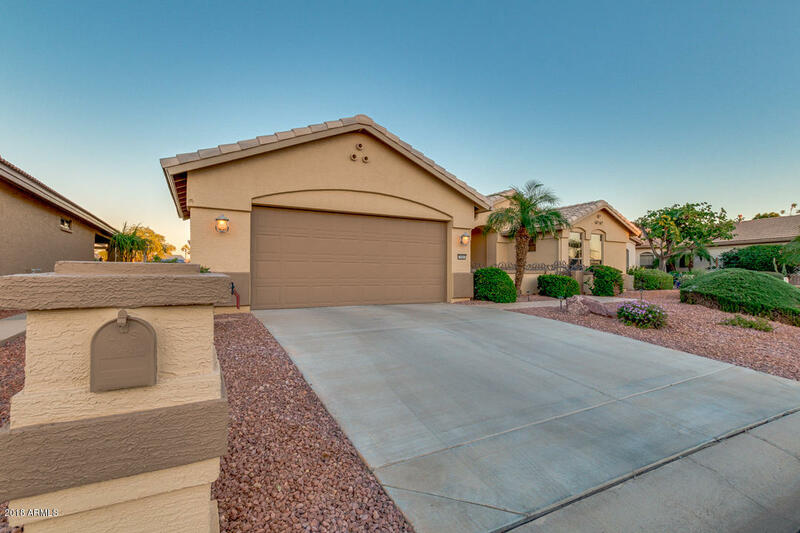 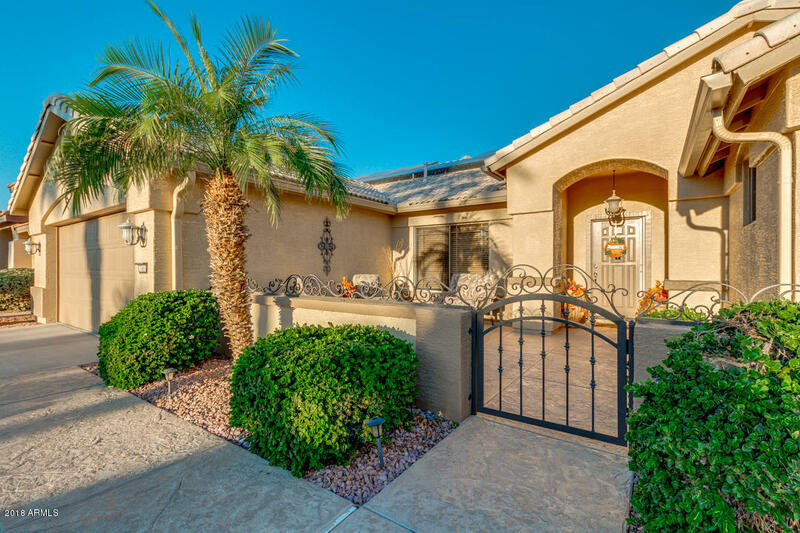 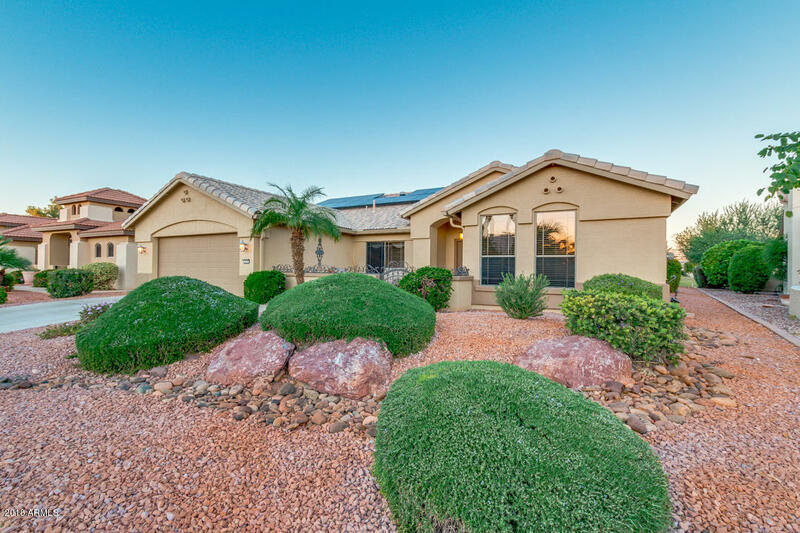 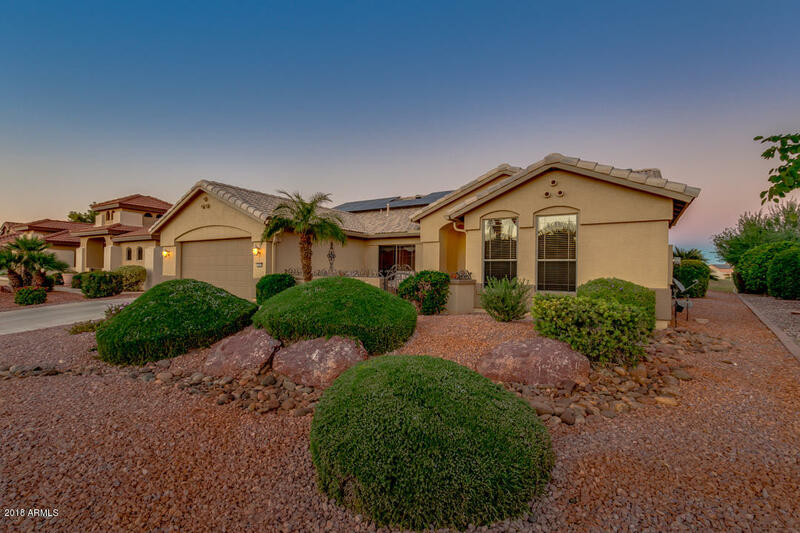 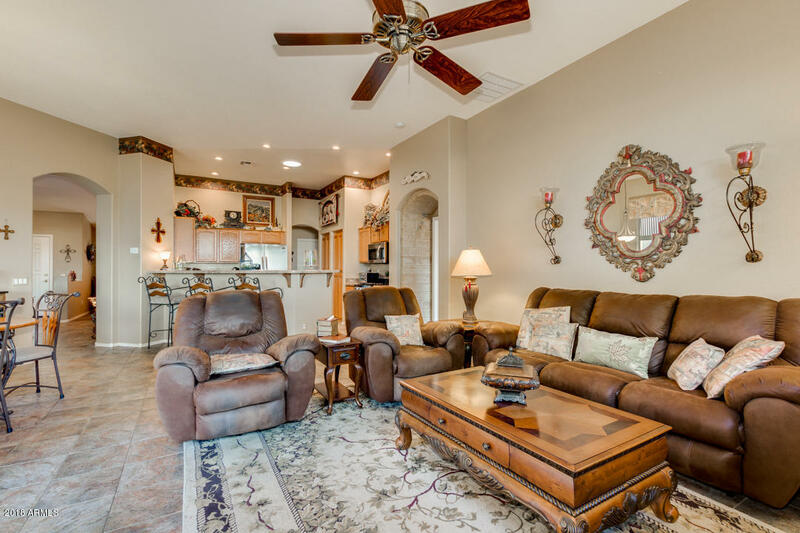 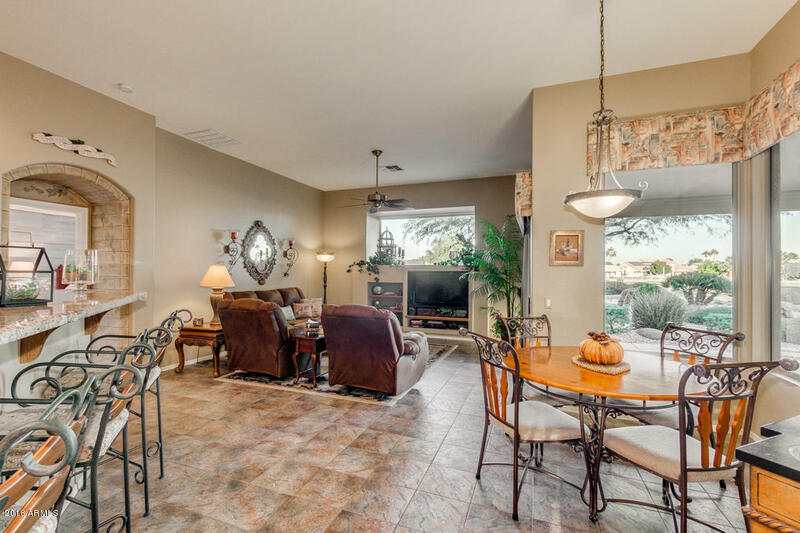 Come tour this beautiful 2 bedroom/2 bath home in the sought-after Pebble Creek Community. 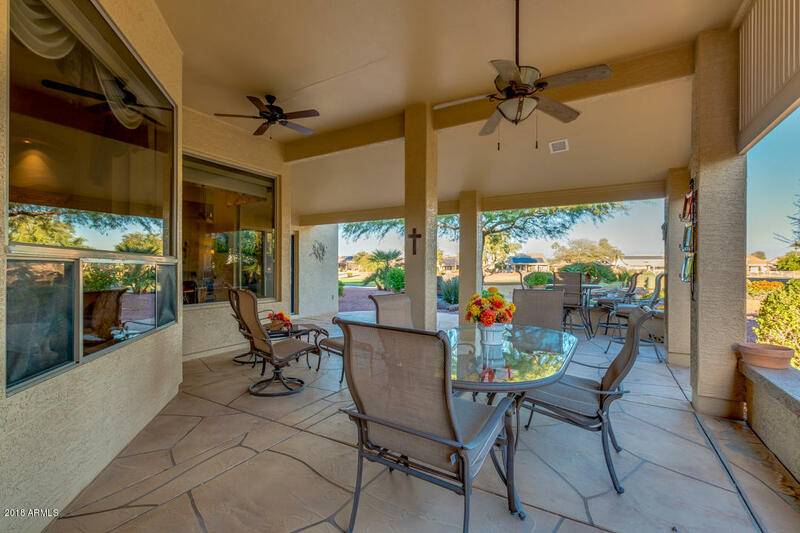 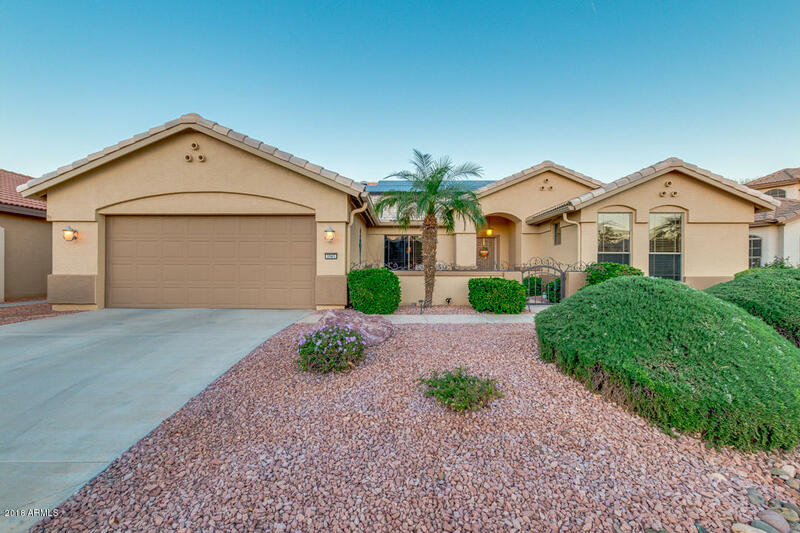 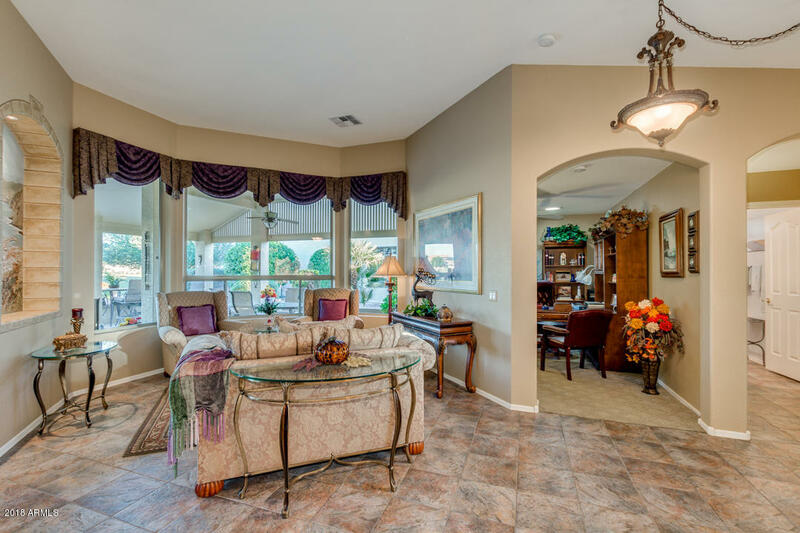 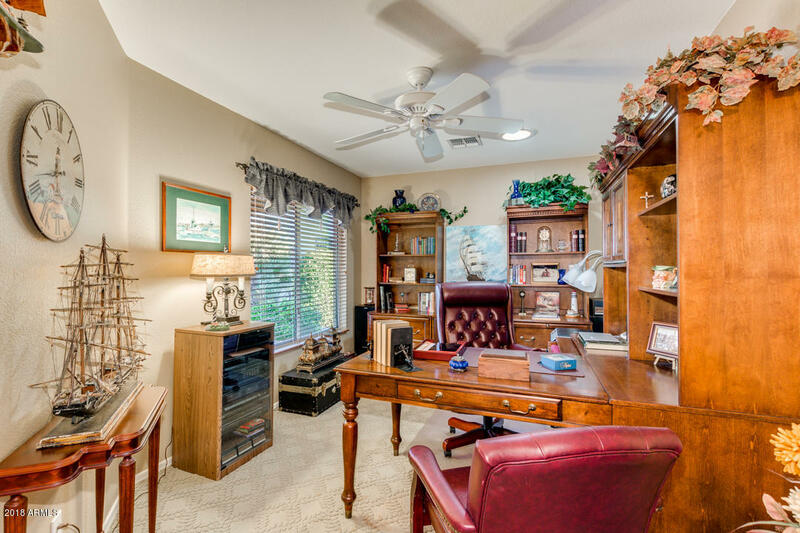 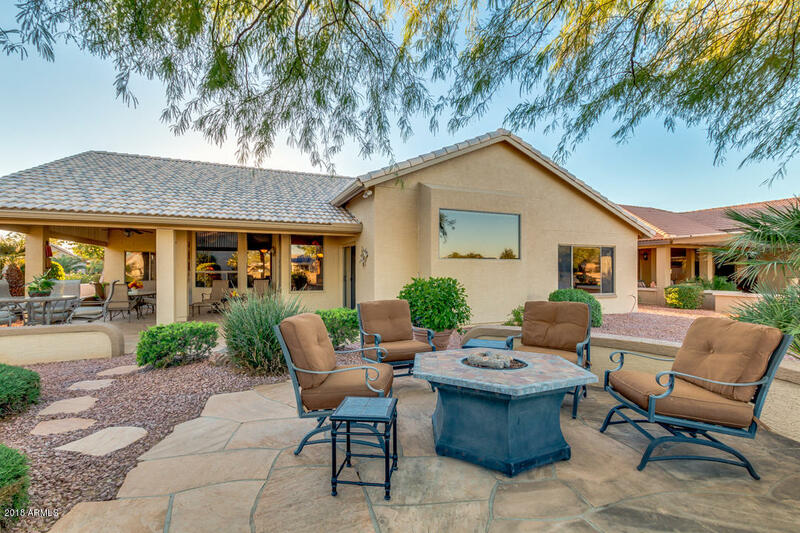 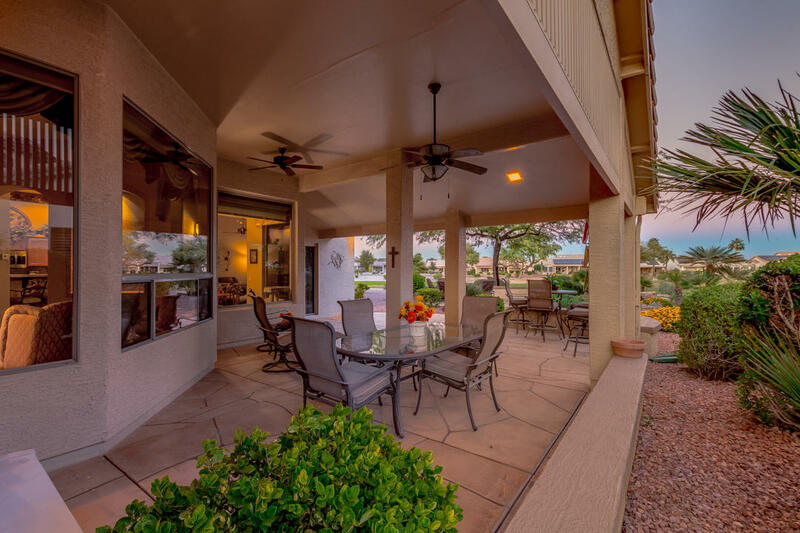 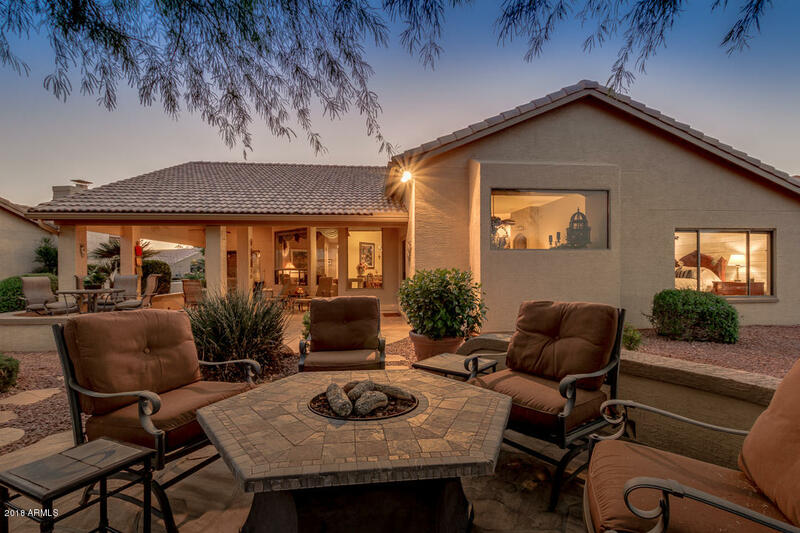 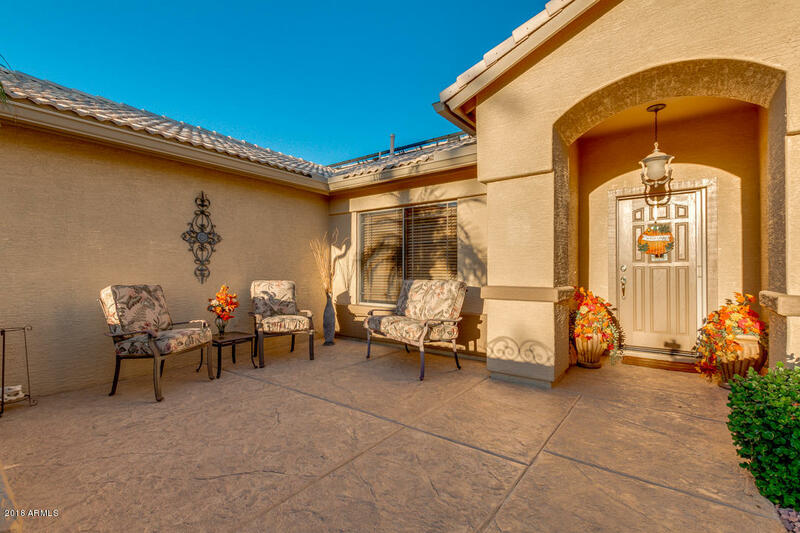 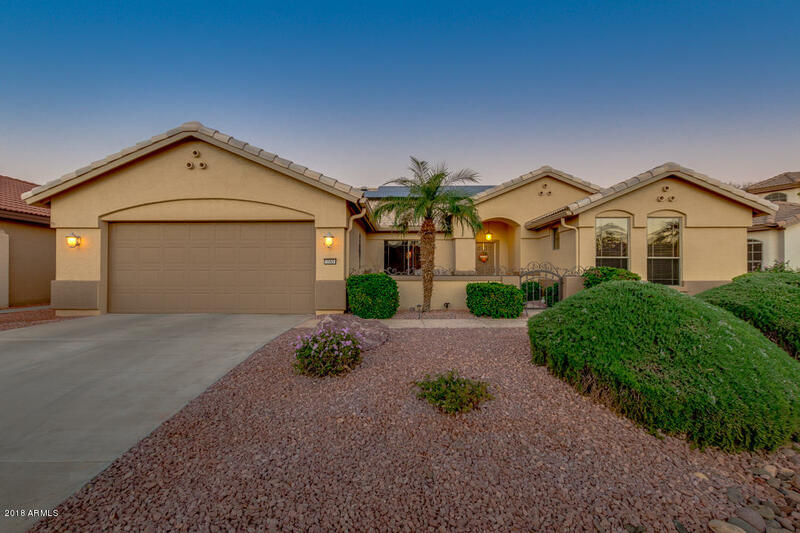 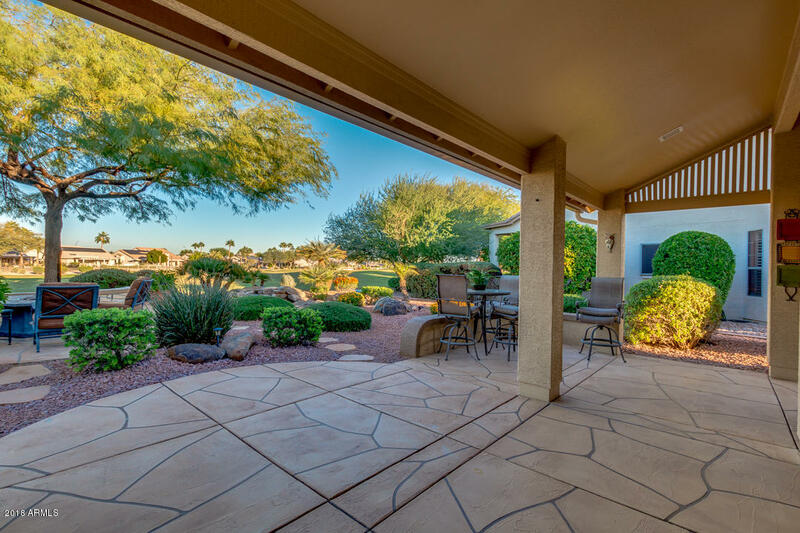 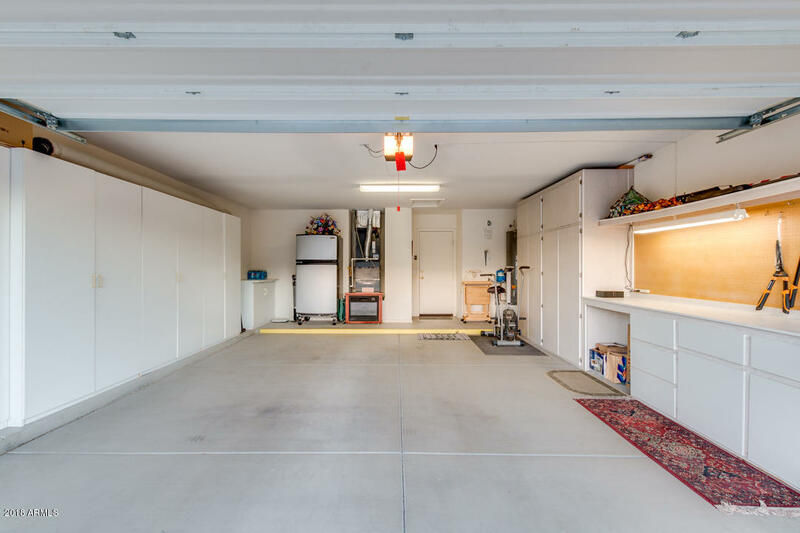 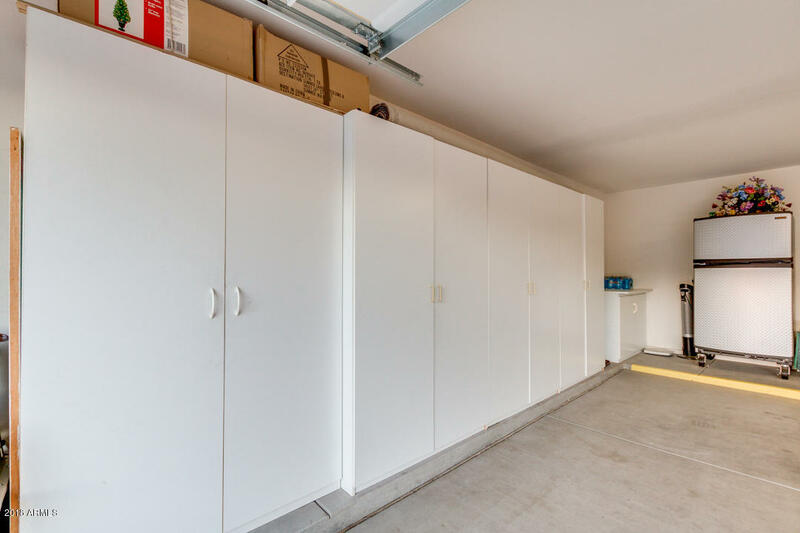 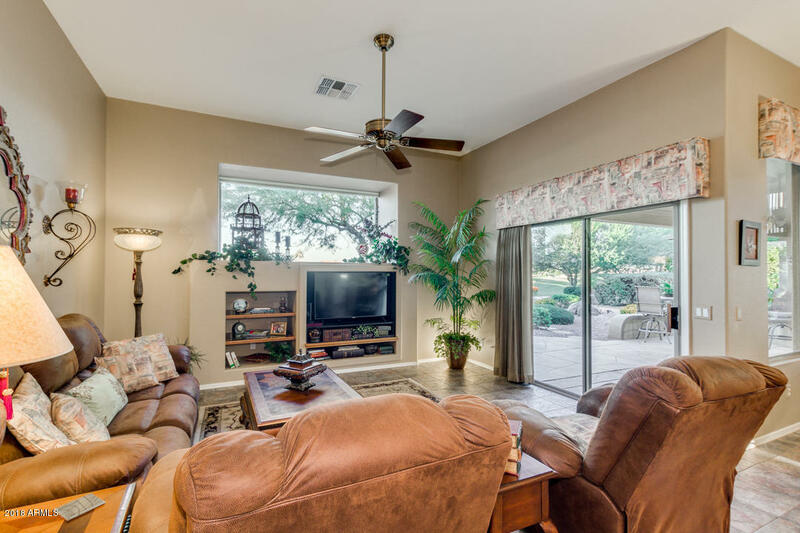 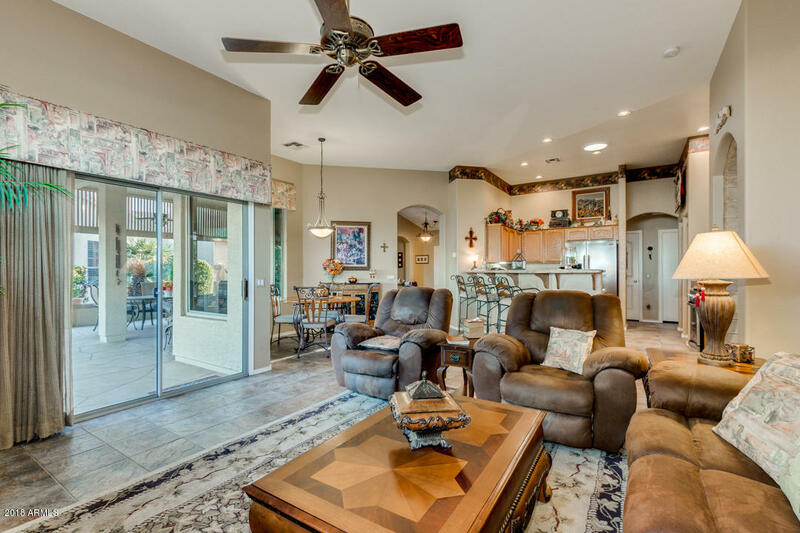 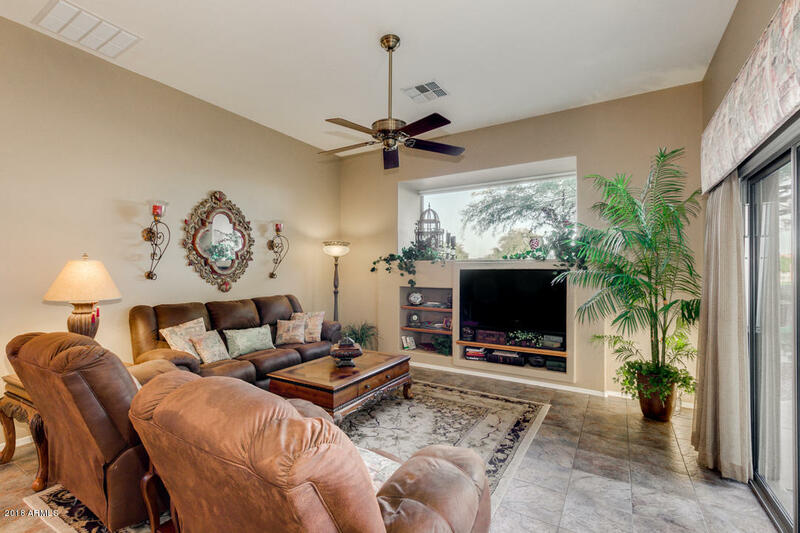 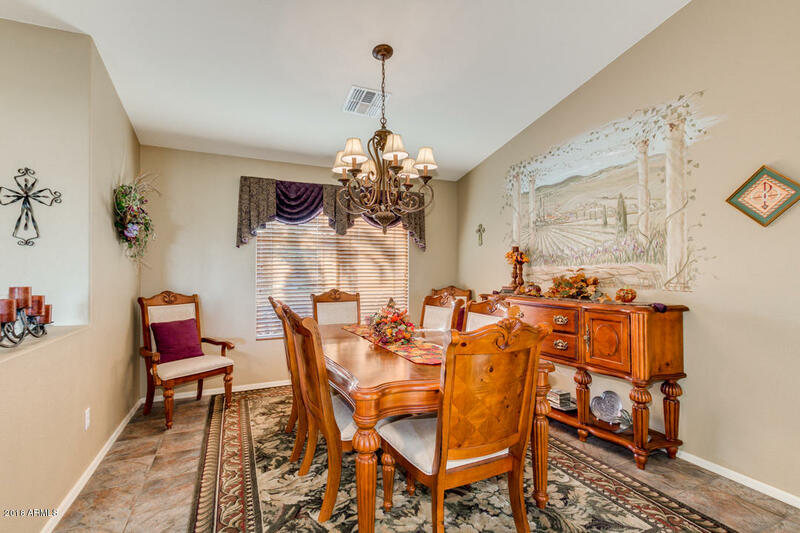 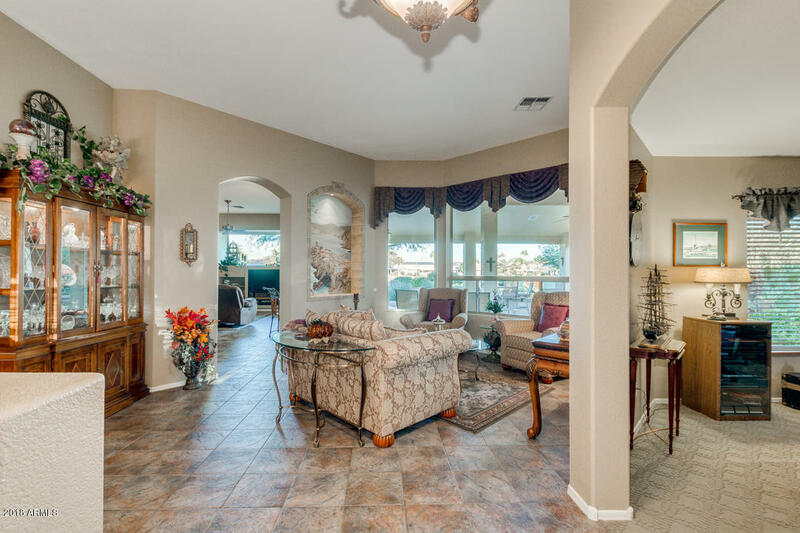 Enter through the homes front patio into the open floor plan that include a formal dining and sitting area adjacent to a den that is perfect for a home office. 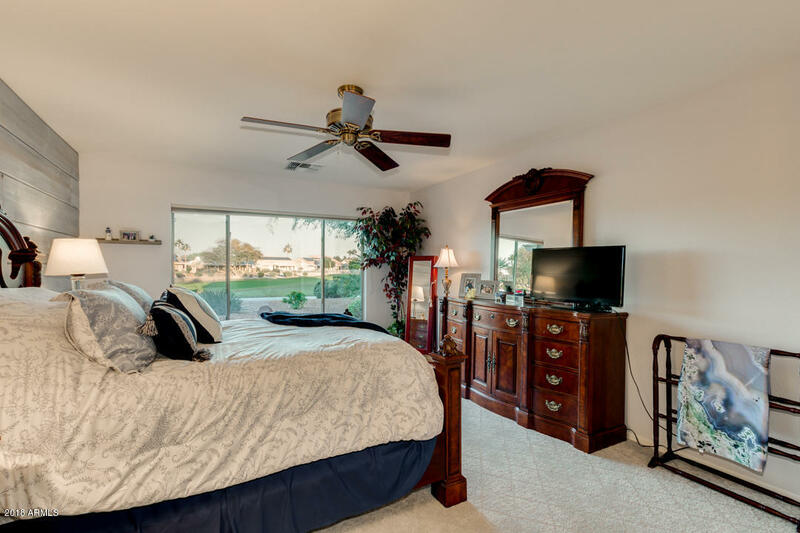 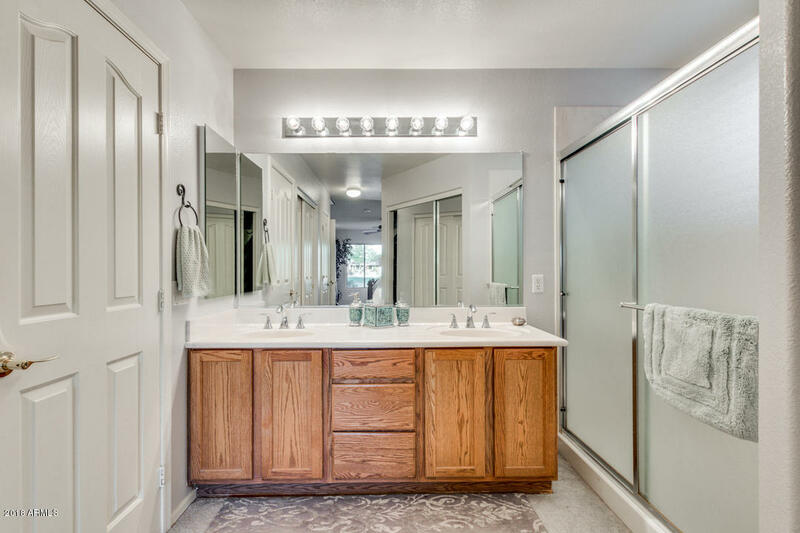 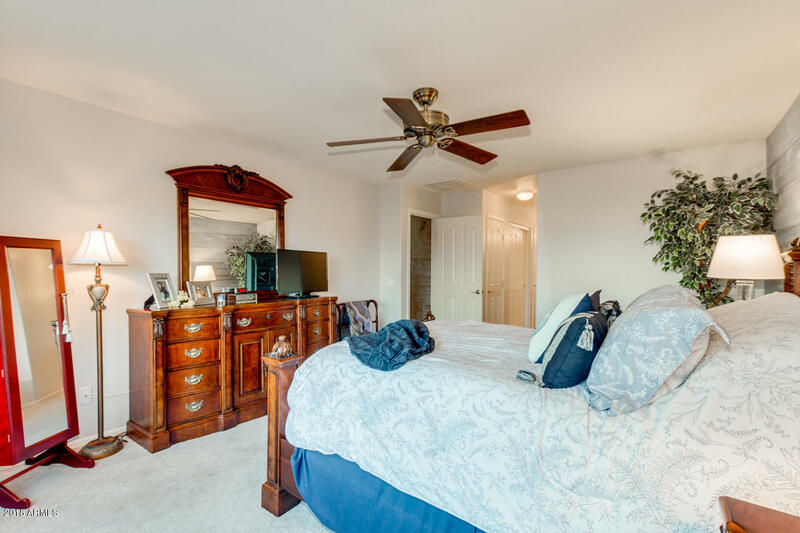 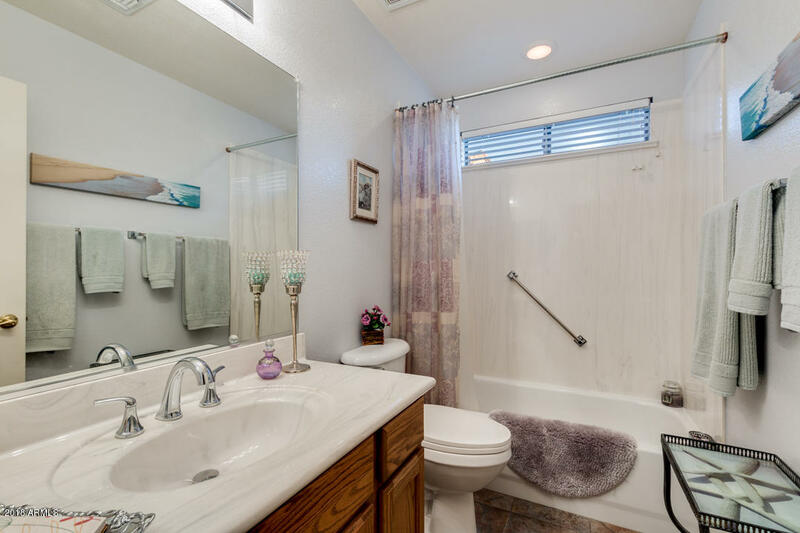 Off the front hallway is a guest bedroom and full bath. 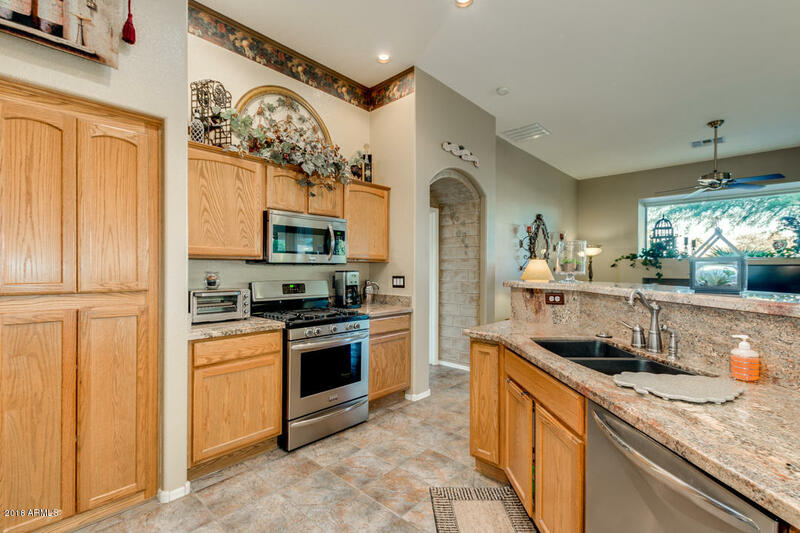 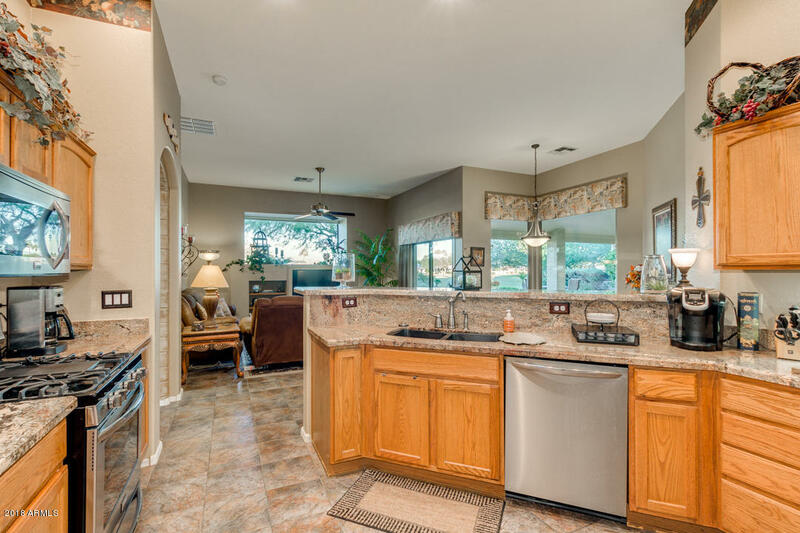 The large eat in kitchen includes granite counter tops and stainless-steel appliances. 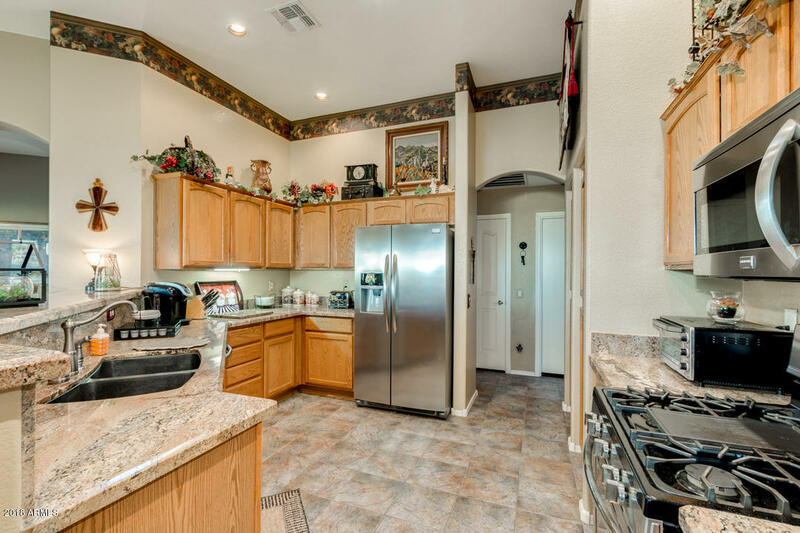 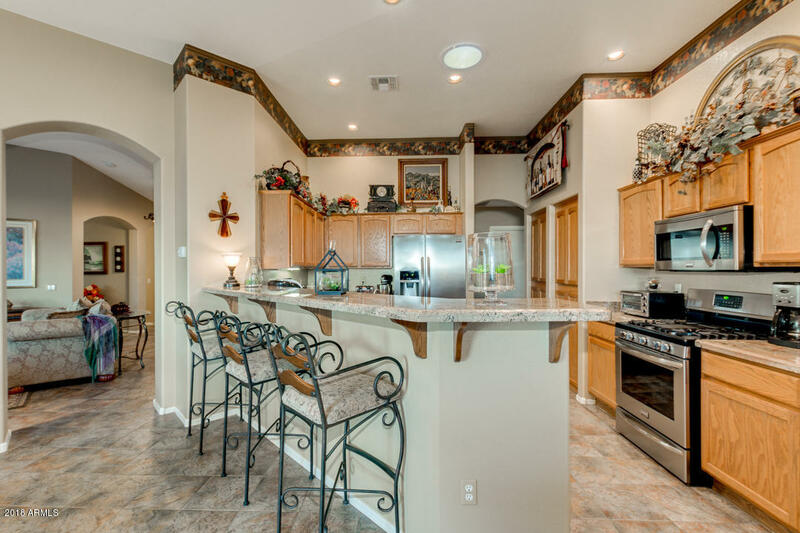 The kitchen has tons of cabinets, counter space and breakfast bar which is perfect for hosting and entertaining guests. 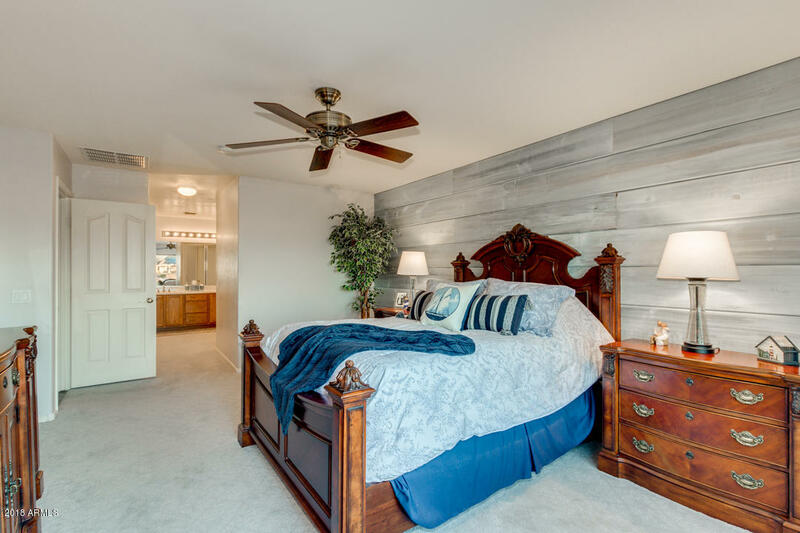 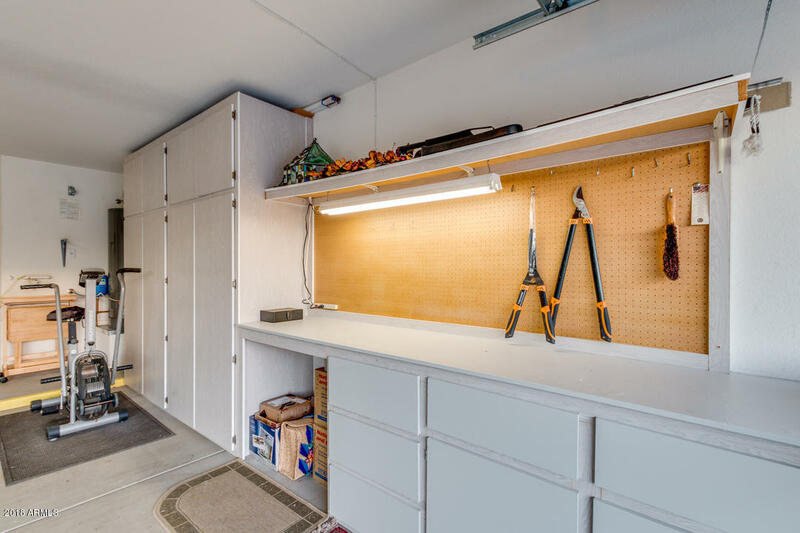 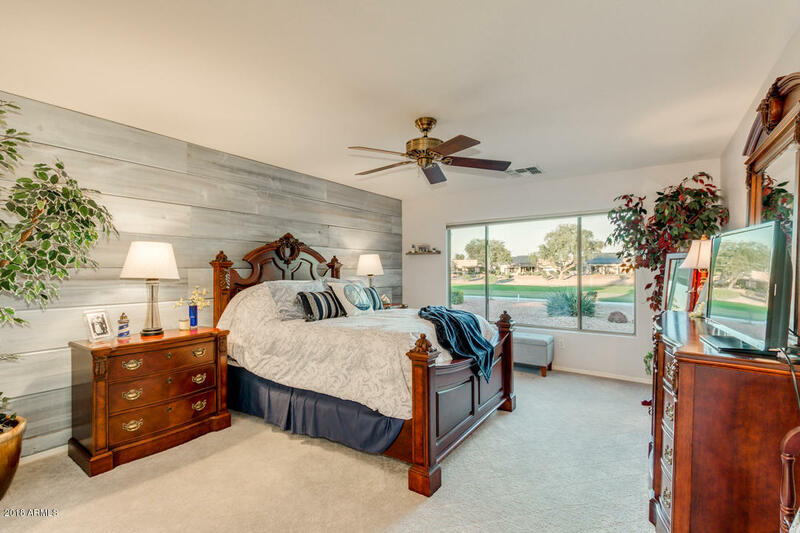 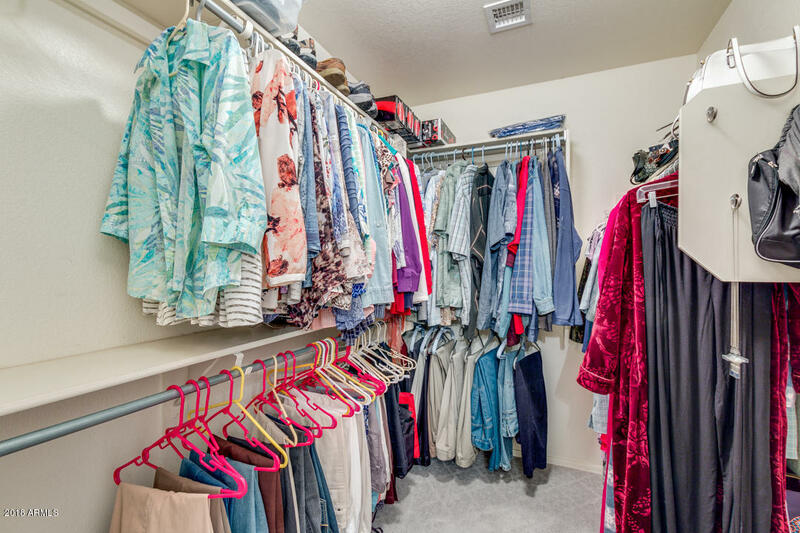 The Master retreat includes a custom ship-lap wall, walk-in shower and closet. 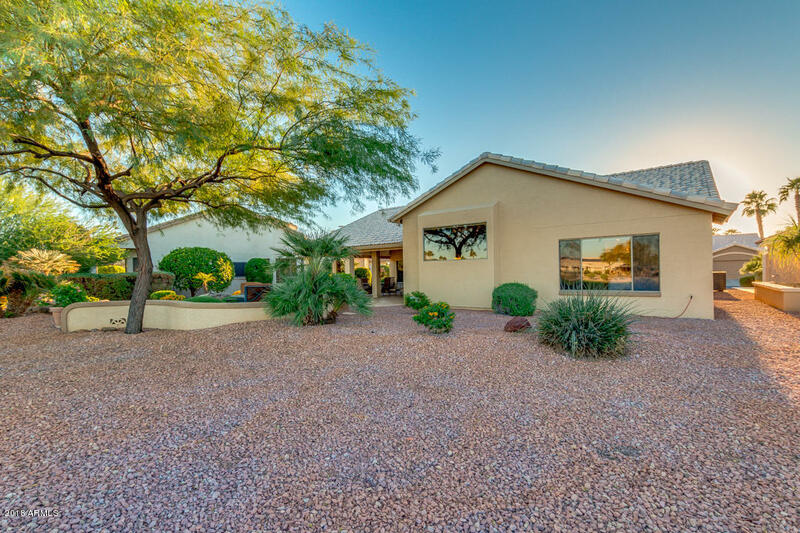 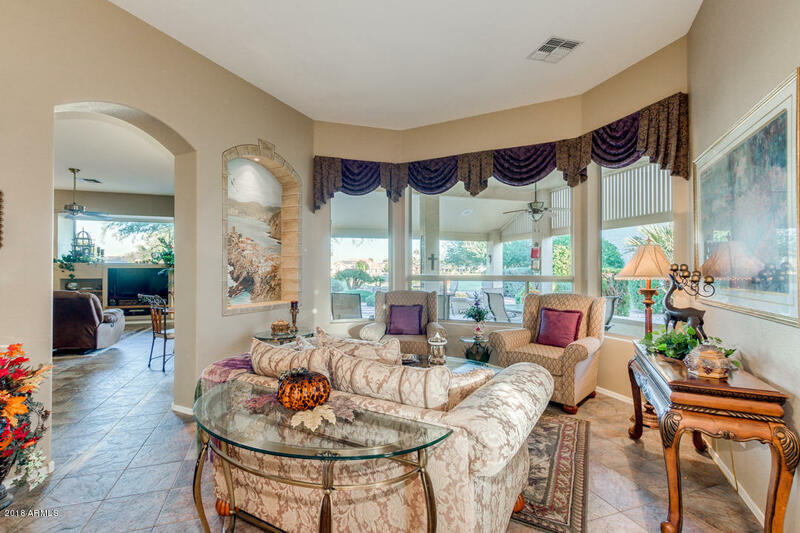 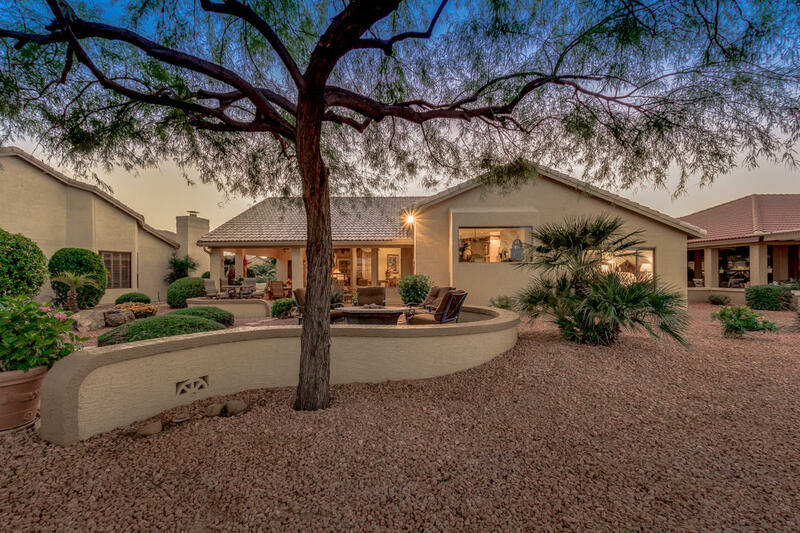 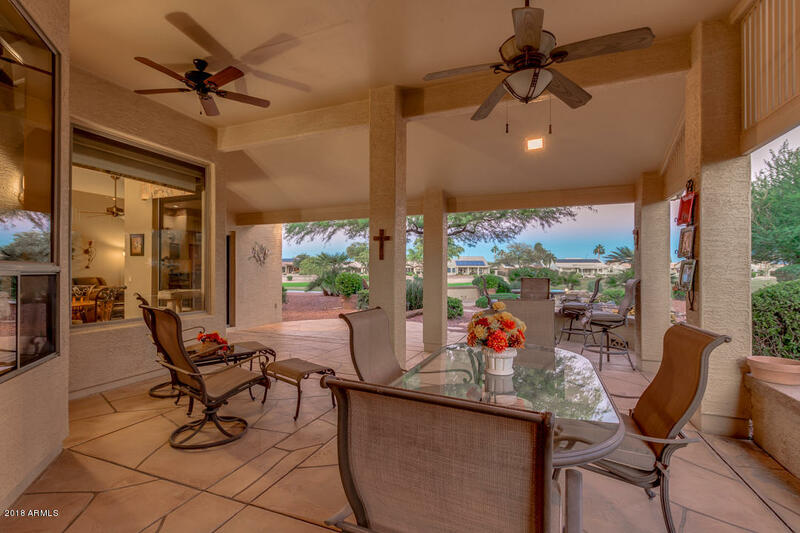 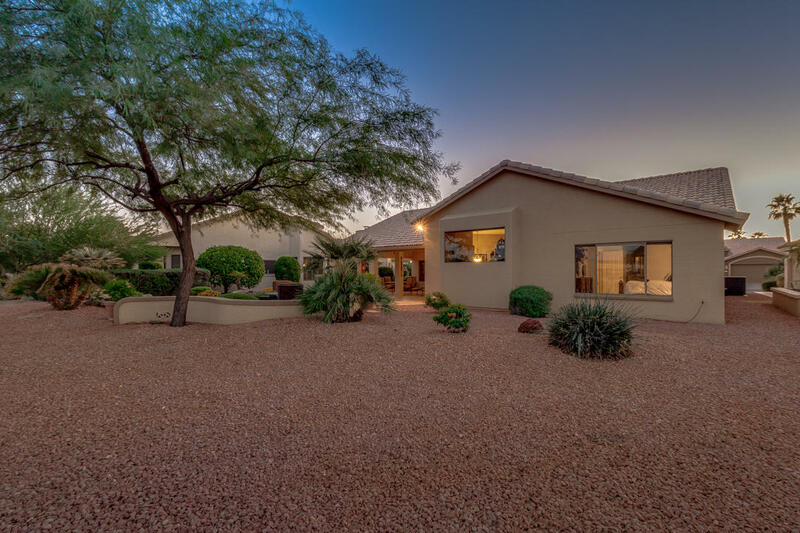 The home also features large windows to fully appreciate the beautiful golf course views. 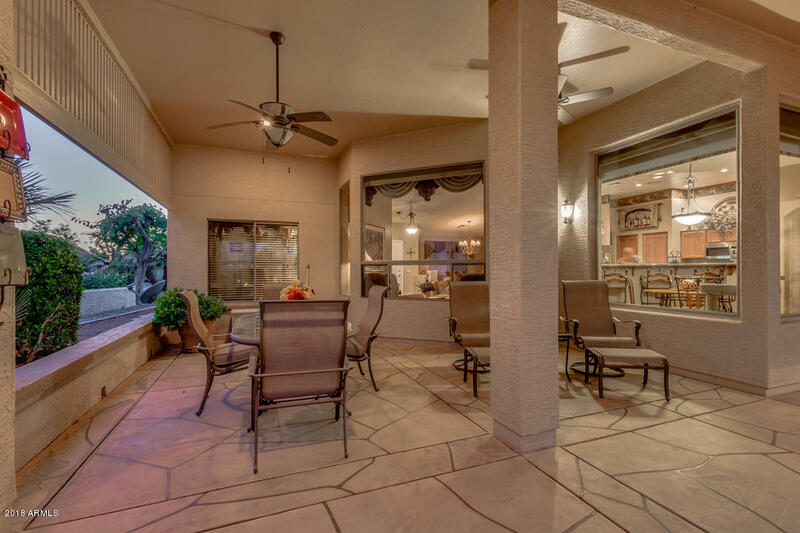 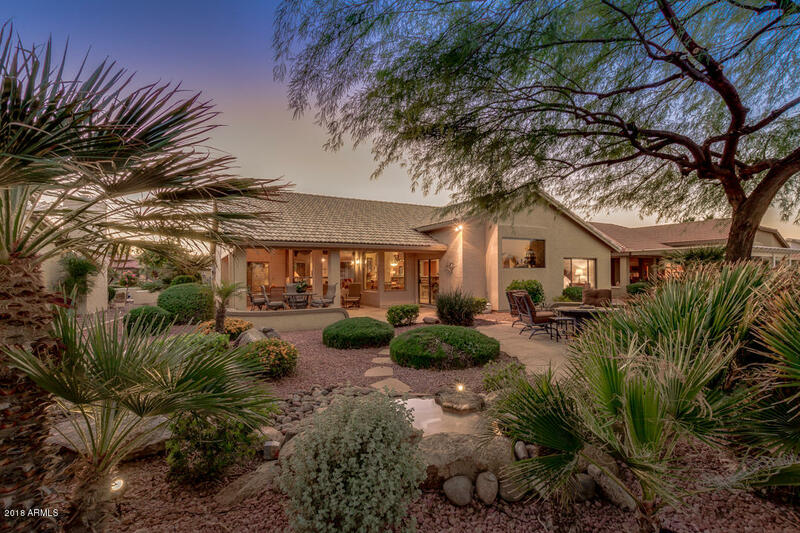 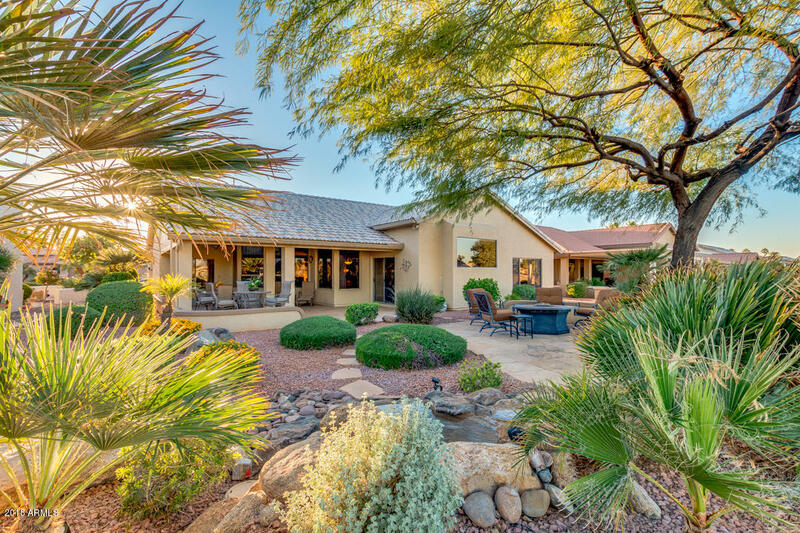 With an over extended patio and water feature, the backyard is truly an oasis which sits on one of the most desirable lots in the neighborhood. 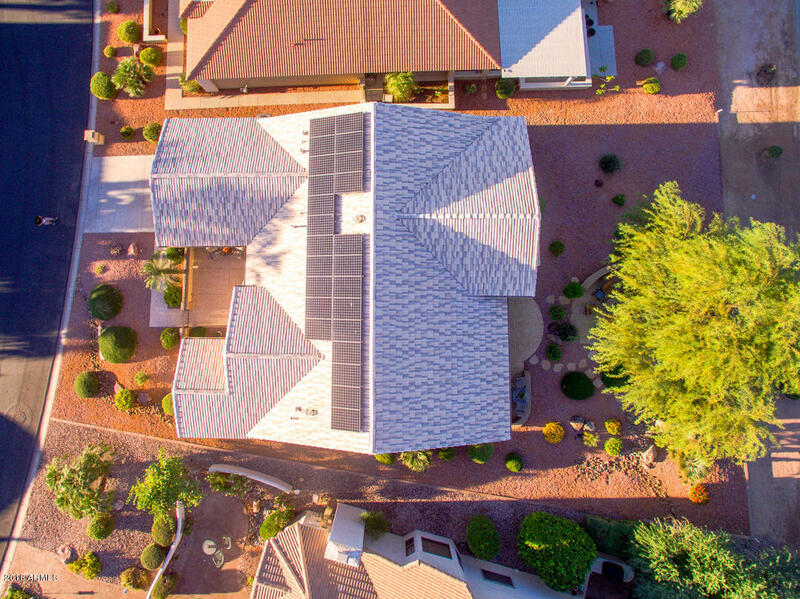 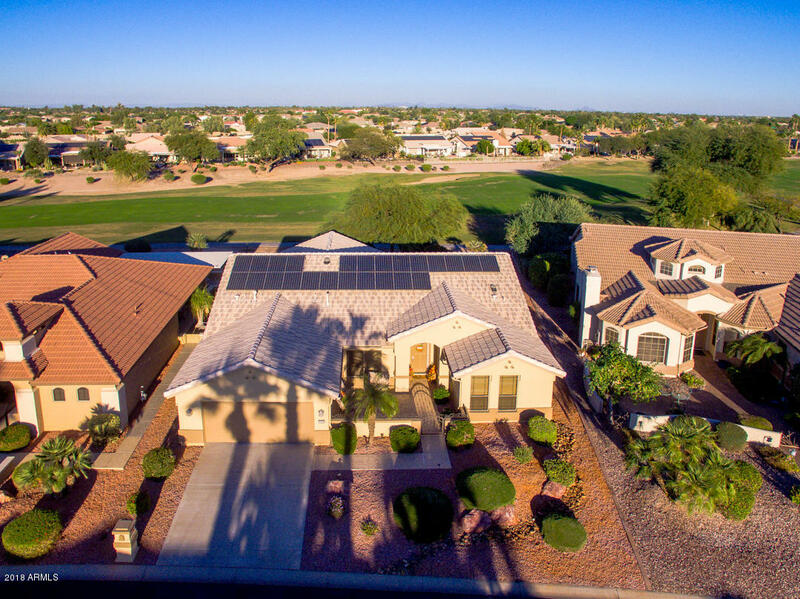 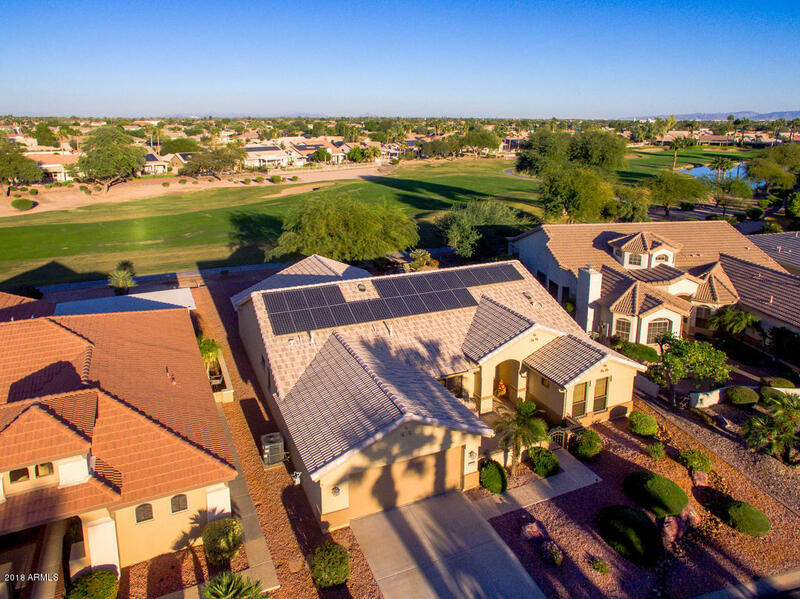 Two year old solar panels on the home also provide an eco-friendly alternative and provides a lower monthly electric bill. 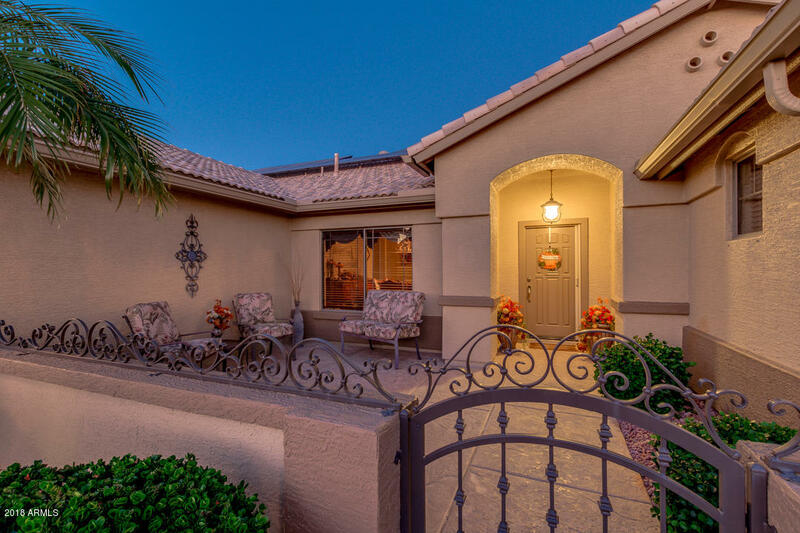 Pebble Creek's Senior 55+ community provides a gorgeous club house with restaurants, gift shops, pools, and much more. 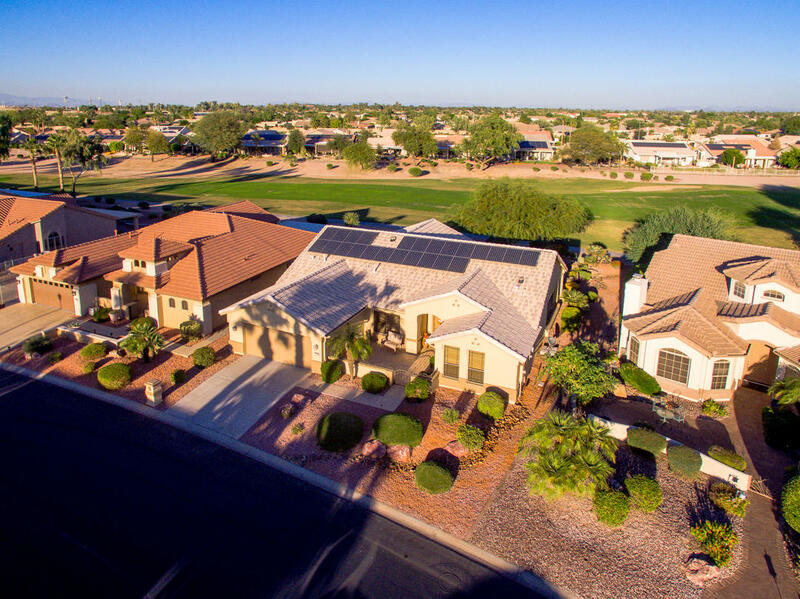 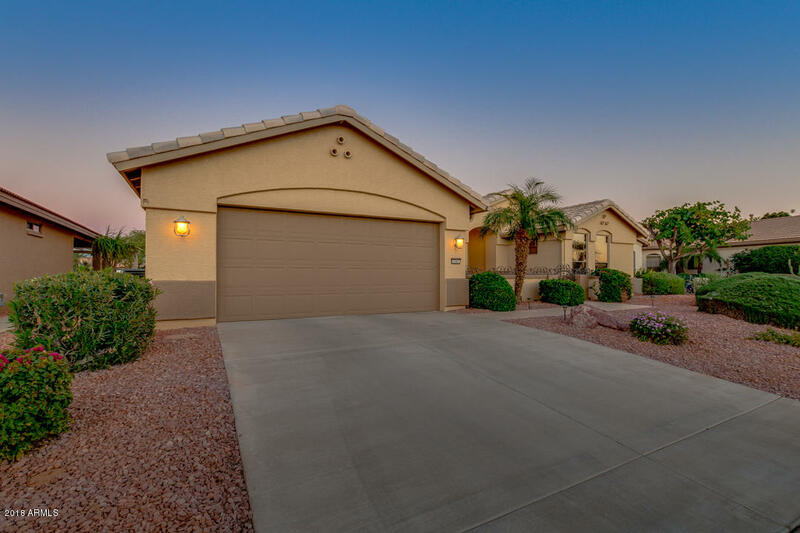 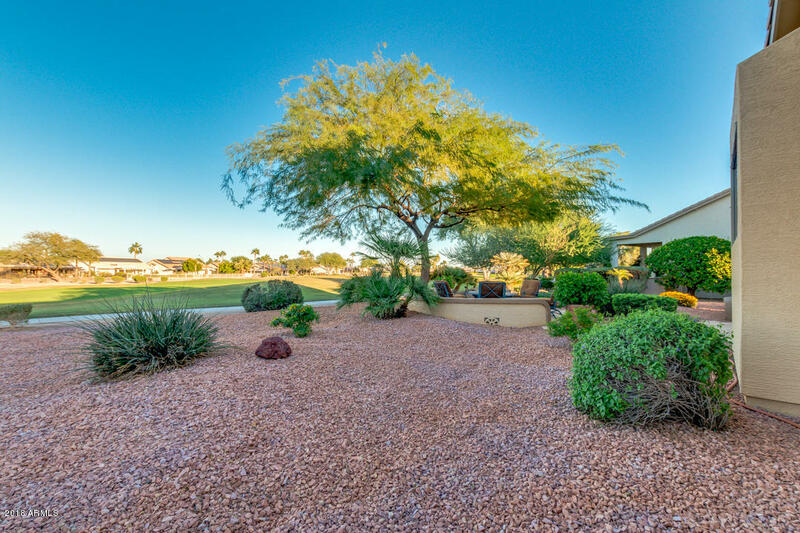 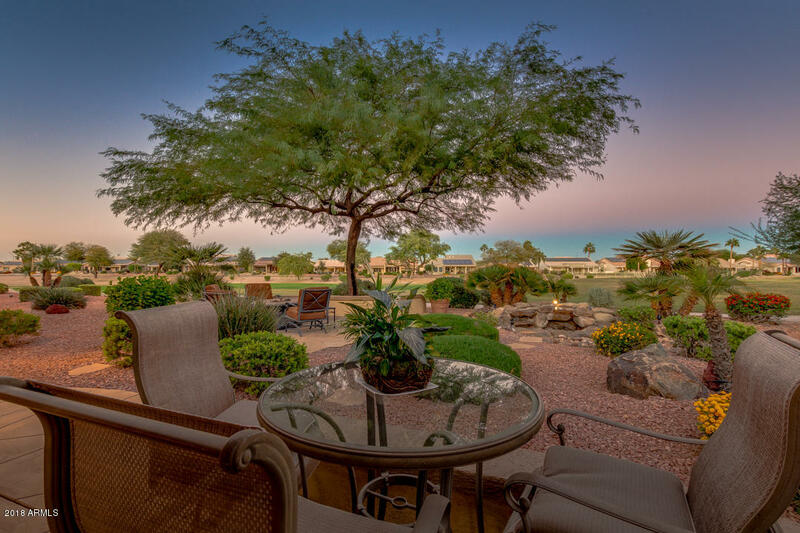 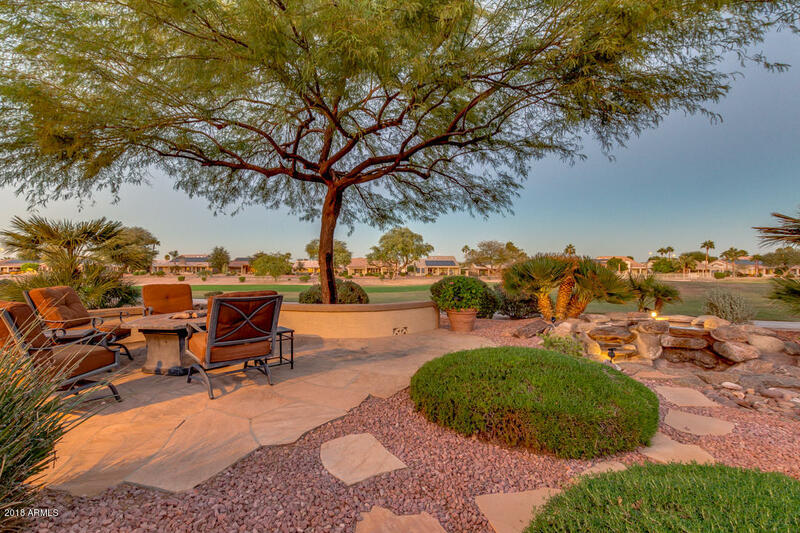 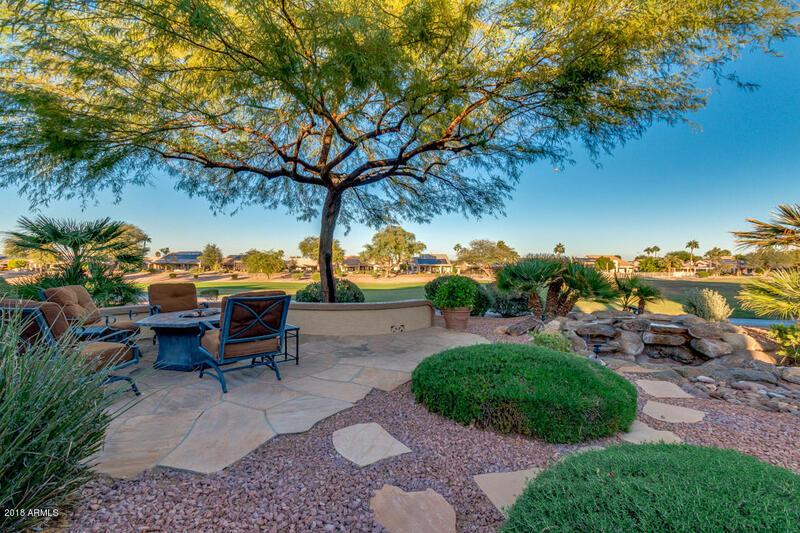 Throughout the community there are many walking paths, a dog park and of course a luxury golf course to enjoy. 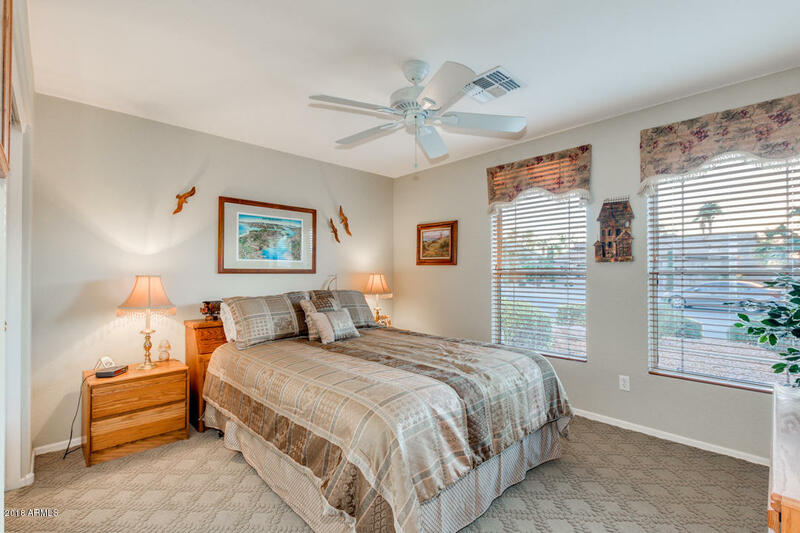 Please schedule a tour today!